• Extracorporeal membrane oxygenation is a pulmonary bypass procedure that has been employed in adults to provide temporary treatment for reversible acute pulmonary and cardiac insufficiency. 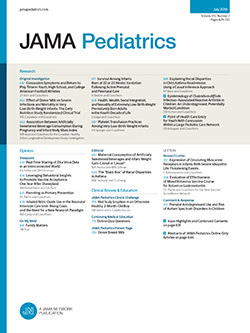 The technology of membrane oxygenation has been used since 1977 in neonates with predictably fatal pulmonary failure due to respiratory distress syndrome, persistent fetal circulation or persistent pulmonary hypertension of the newborn, meconium aspiration syndrome, and congenital diaphragmatic hernia. The use of extracorporeal membrane oxygenation in older children with other pulmonary disorders has been limited. We report two cases of hydrocarbon aspiration involving petroleum-based products, both successfully treated with extracorporeal membrane oxygenation. A 15-month-old male infant who aspirated baby oil (light mineral oil) is particularly unusual owing to the generally expected low risk of aspiration with a hydrocarbon of such viscosity (>60 Saybolt Universal Seconds). The second patient is a 16-month-old male infant who aspirated furniture polish (mineral seal oil). In both children severe intractable hypoxemia developed despite intensive ventilatory support, and they became candidates for alternative therapy. Extracorporeal membrane oxygenation provides a potentially life-saving option when a patient fails to respond to conventional therapy for hydrocarbon aspiration.